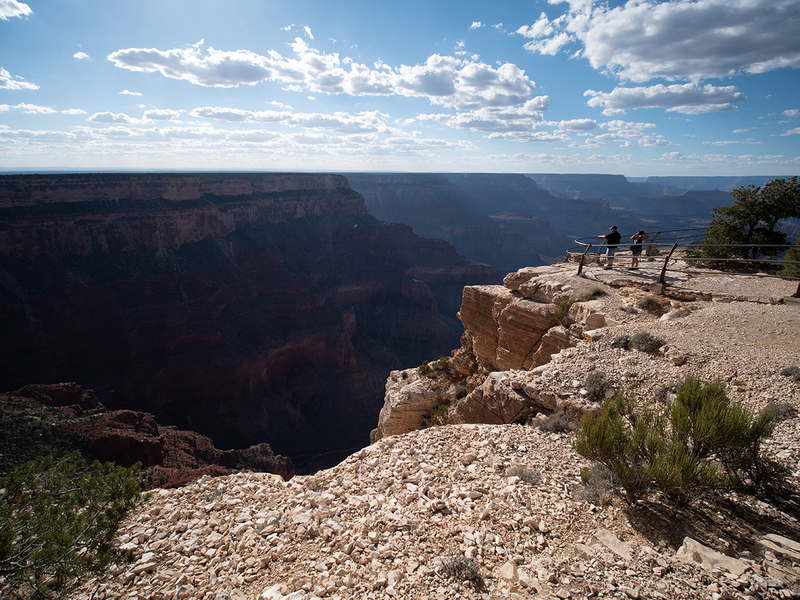 GRAND CANYON – Arizona’s national parks are feeling their age and need a $531 million makeover on hundreds of roads and buildings that serve millions of annual visitors, park officials said. It’s a problem in national parks around the country, but financial rescue may be edging closer. The Grand Canyon, Petrified National Forest and other recreation sites, such as Glen Canyon National Recreation Area, are sagging under the weight of their popularity. 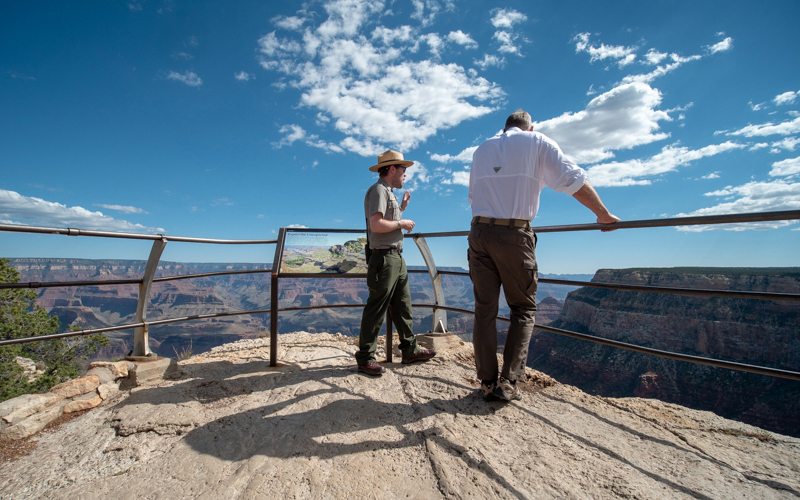 As visitors increased 40 percent over six years at the Grand Canyon – 17 percent at all U.S. national parks – maintenance to parks and monuments has been delayed year after year. Government officials call the multimillion-dollar backlog “deferred maintenance,” and the projects range from minor to major: fixing gutters, painting cabins, renovating water systems and repairing roads and trails. Few claim the situation is dire, but advocates say the economic draw of tourism warrants timely renovations and repairs. The backlog sweeps across the country, spurring concern in some quarters. 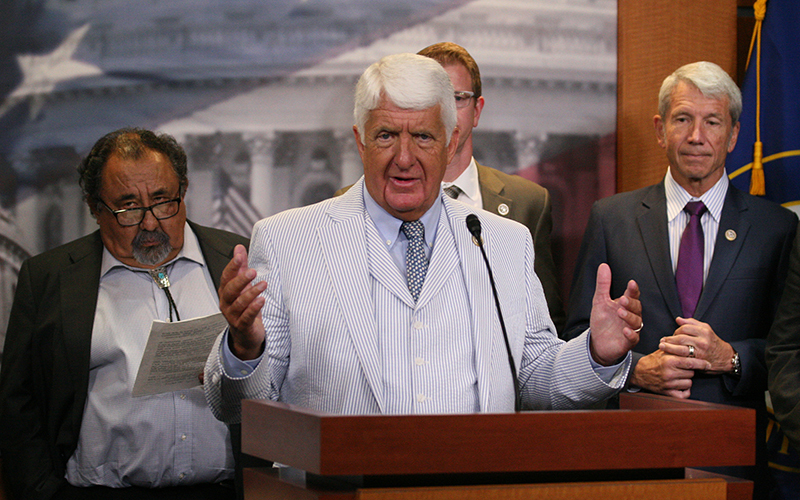 “It’s been a pure black eye for Congress,” said Athan Manuel, director of the Sierra Club’s lands-protection program. 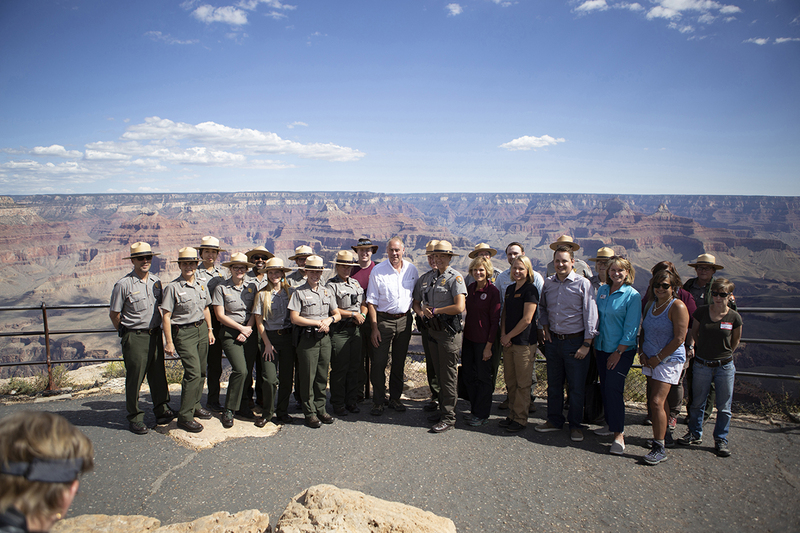 “Grand Canyon National Park has thousands of structures and hundreds of miles of roads, and it’s a lot to take care of,” said Chris Lehnertz, the park superintendent. The most pressing need is repairing the only water pipeline serving the South Rim, which is leaking, prompting water rationing. Some volunteers said they are trying to make a dent in maintenance projects, one brush stroke at a time, and are spending weekends doing what they can. 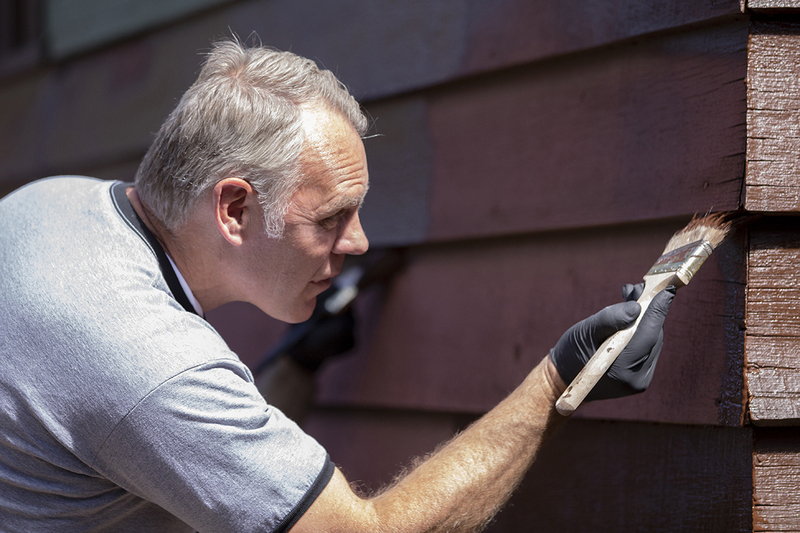 One day in September, several volunteers and Secretary of the Interior Ryan Zinke brushed reddish brown paint on the walls of six cabins built in the 1930s in Grand Canyon Village. The volunteers hailed from Coconino Community College in Flagstaff, which has a new class that requires students to volunteer at the park. But volunteers can accomplish just a sliver of what needs to be done. One estimate by the Arizona Trail Association is that one hour of volunteering is worth a little more than $24. In those few hours that September weekend, nine volunteers made a $1,111 dent in the multimillion dollar backlog, according to the National Park Service. Zinke said Congress needs to work across the aisle to approve funding for national parks in the U.S., where the total backlog has reached $11.6 billion. 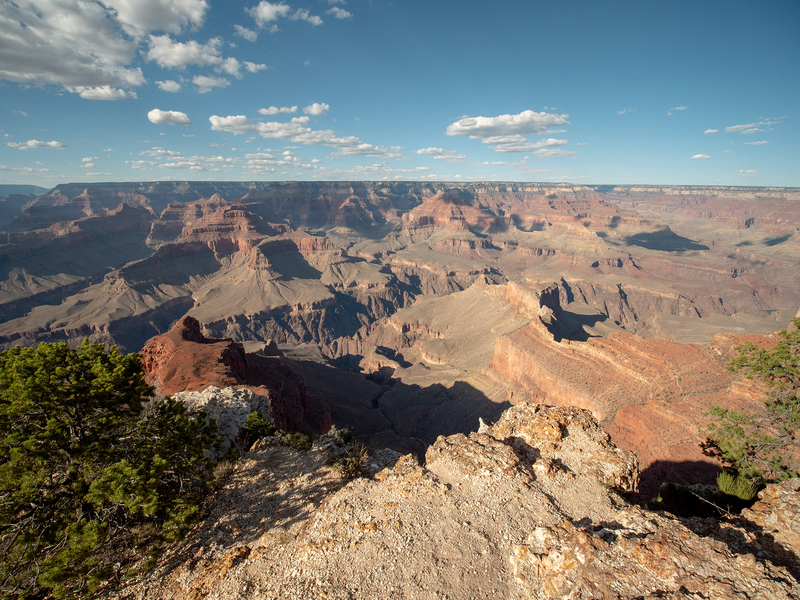 A bipartisan bill, introduced by Arizona and Utah congressmen, called the Restore Our Parks and Public Lands Act, last month passed the House Natural Resource Committee on a voice vote. It still has to make it through the full House and Senate. 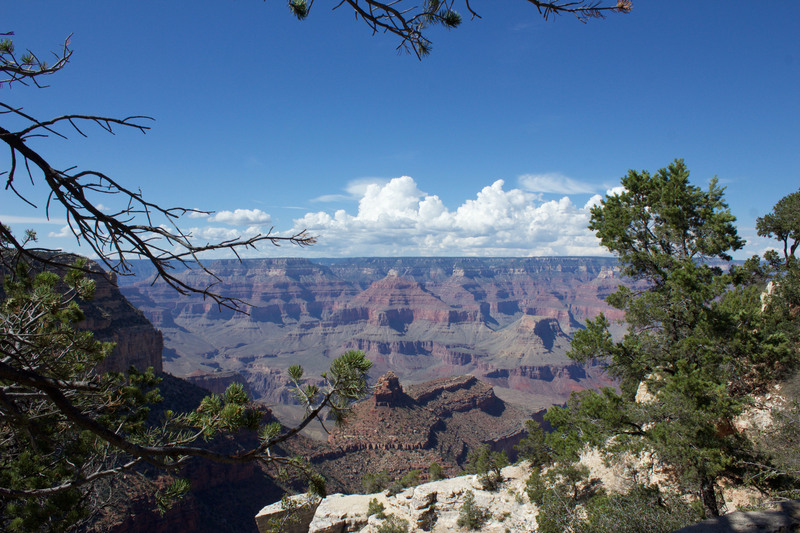 California, Virginia, New York and Wyoming have the highest backlog of maintenance bills, ahead of Arizona, but Grand Canyon National Park is one of the most popular parks in the country. The park, which will celebrate its 100th anniversary next year, is the second most visited national park, according to the park service. It carries the bulk of the state’s maintenance backlog at $330 million. Smaller parks in Arizona have issues as well. Tonto National Monument needs $1 million in repairs and Petrified National Forest needs $44 million worth. Rep. Raúl Grijalva, D-Tucson, who cosponsored the Restore Our Parks Act with Rep. Kyrsten Sinema, D-Phoenix, and Rep. Rob Bishop, R-Utah, lists national parks and their maintenance as a priority of his legislative agenda, according to his website. 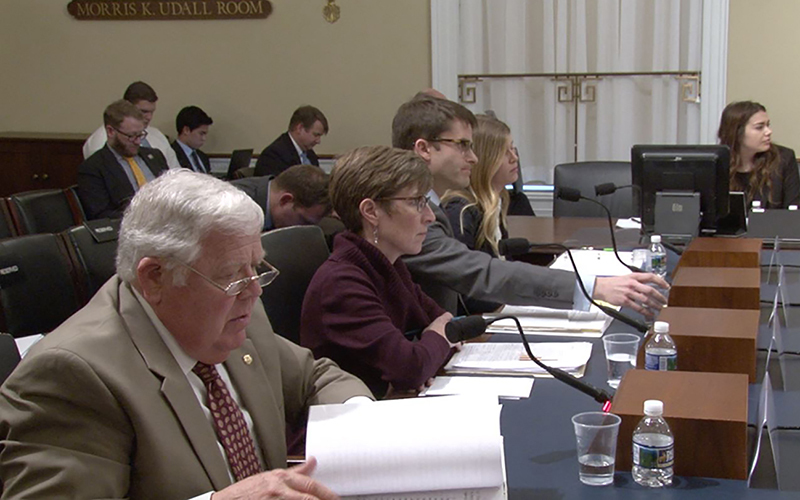 “I want to see leaking roofs repaired and crumbling roads rebuilt, but even more importantly, I want clean air to breathe and clean water that’s safe to drink,” Grijalva said in a news release. 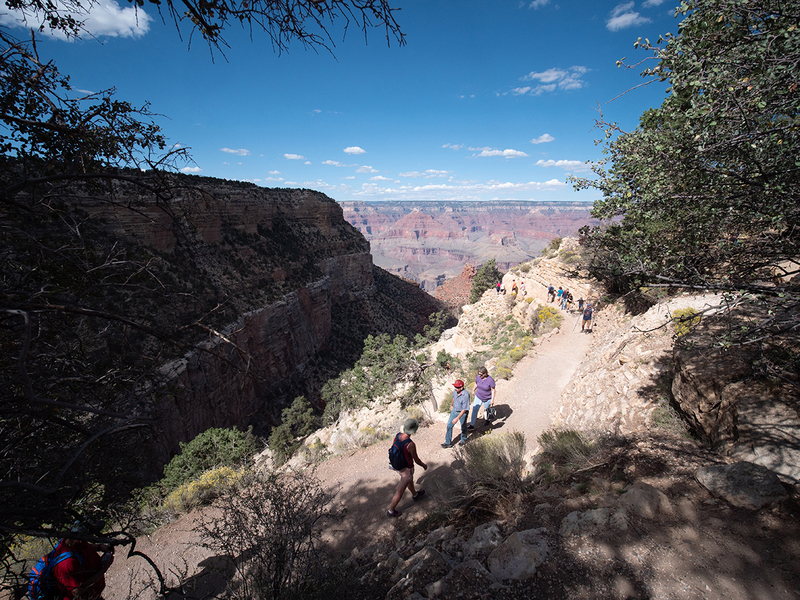 More people have been visiting national parks in recent years, with 40 percent more visitors to the Grand Canyon in 2017 than 2012, according to the National Park Service. And all the love is wearing parks down. Brad Traver, superintendent of Petrified Forest National Park, said most buildings were erected in the 1930s or ’60s, when the number of visitors was a tiny fraction of what it is today. Manuel, of the Sierra Club, said visitors notice that infrastructure is wearing out. Manuel, who bikes in the Chesapeake and Ohio Canal National Historical Park in Maryland every weekend, said Congress for years has underfunded the NPS. “These bills keep adding up and adding up, and Congress makes it worse by not appropriating the funds they need,” Manuel said. He noticed some recent improvements at the park he frequents at Chesapeake and Ohio Canal Park, but said maintenance still lags, which affects domestic and international tourists alike. Visitors bring in money, exacerbating the tension between welcoming them and shielding the park from their impact. 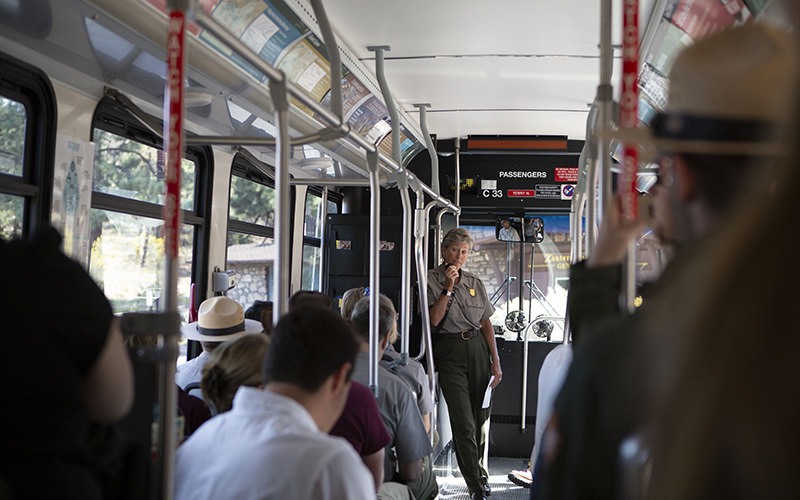 According to the National Park Service, visitors spent more than $18 billion in U.S. parks and surrounding communities last year. Zinke said park visits last year contributed nearly $36 billion to the U.S. economy – more than three times the cost of repairing every national park, recreation area, memorial and highway overseen by the NPS. Road repairs account for half of all deferred maintenance at national parks, according to the NPS, and nearly every park is affected. That includes the George Washington Memorial Highway, a scenic drive in the Washington, D.C., area, which needs nearly $400 million in upgrades. At the Grand Canyon over the past year, a contractor has repaved cracked roads on the South Rim and sealed old pavement, the NPS said. Buildings are a large part of the deferred maintenance backlog, but repairing them can be complicated if they are on the National Register of Historic Places, which is overseen by NPS. The park’s Painted Desert Community Complex, designed by architects Richard Neutra and Robert Alexander in 1958, is a National Historic Landmark and has some foundation issues. The complex serves as the park’s visitor center and operational headquarters, and it houses most of the park’s concession operators, Traver said. The complex also needs sprinklers in many of its buildings, as well as accessibility for people who are disabled. Other structures at national parks serve utility purposes, such as Grand Canyon’s water system and Glen Canyon’s electrical generators and docks. “A lot of these systems, for example, that generate electricity, they’re at or almost at the end of their intended lifespan,” said William Shott, superintendent of Glen Canyon National Recreation Area. Repairs to those systems are given high priority, he said, because they impact visitor safety. But at the Grand Canyon, that argument has not provided the requisite funding for a pipeline that delivers all of the water used on the South Rim. The pipe leaked as recently as this month prompting water restrictions, and park officials said they’re not sure where the leaks are at. Matthew Nelson is executive director of the Arizona Trail Association, which maintains the Arizona National Scenic Trail that runs the length of the state. He says access to water basically means access to Grand Canyon National Park. The size of the parks and the distances involved to maintain the infrastructure compound the issue. Shott said park staff might have to drive for hours to work on a project. “Today, we literally don’t have enough housing for employees to stay onsite to actually get that work done,” Shott said. The backlog goes back decades, as Congress started underfunding the budgets for parks, Manuel said. It was nearly $11.5 billion in 2014, and hasn’t changed much since. “As fast as we work to lower that maintenance backlog number, it rises just as fast,” Shott said. An NPS official wrote in an email that volunteers spent more than 71,000 hours working on projects in the Grand Canyon, saving the park over $1.75 million. More than 20 years ago, Congress passed a law meant to address the maintenance backlog. The 1997 legislation redirected royalties from private mineral mining off Alaska to the National Park Service and similar agencies. Congress has since passed several similar bills, none of which chipped away at the backlog. Still, Interior Secretary Zinke said he’s hopeful the Restore Our Parks and Public Lands Act – which would use royalties from energy production on public lands to fund maintenance projects – eventually will pass. The legislation has made it further in Congress than any other recent proposal to tackle deferred maintenance. “If you’re going to create wealth and energy on public lands, then I think you also have an obligation to support, fund our public lands in perpetuity,” Zinke said. Manuel, of the Sierra Club, said he is satisfied with the act because it caps the amount of money that could be raised each year by offshore drilling interests. “We think this is a responsible approach to dealing with a serious problem Congress has let fester for far too long,” he said. The Senate is considering an alternative bill that would use revenues from minerals taken from federal land to fund park repairs.